Ancient India, like ancient Greece, boasts of two great Epics. One of them, the Mahabharata, relates to a great war in which all the warlike races of Northern India took a share, and may therefore be compared to the Iliad. 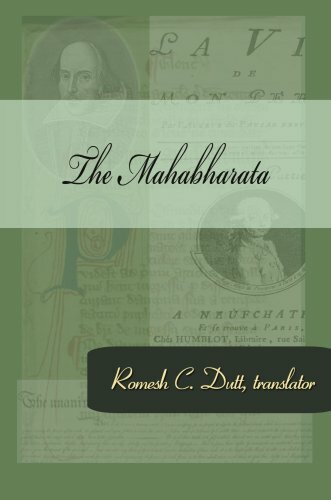 The vast mass of legends and poetry, accumulated during centuries, was cast in a narrative form and formed the Epic of the Great Bharata nation, and therefore called the Maha-bharata.